This tumbler holds 20 oz. and features a Triton slide-to-close lid. 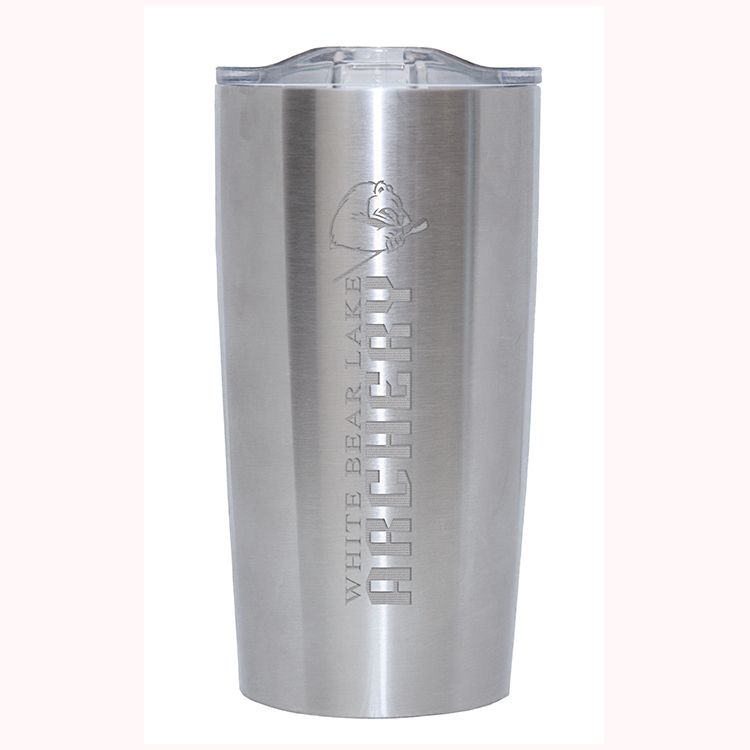 Double walled, 18/8 stainless steel interior and stainless steel exterior to help keep your ice in water for over 16 hours and hot for over 8 hours . No condensation! Designed to stay dry and not get too cold or hot to the touch. Large vertical engraving area for maximum effect! Standard packaging is a gift box. Logo set-up: $50.00(G) Straight line text set-up: $25.00(G). Personalization is available and free. One setup per PO. 1st area of engraving is included with no run charge. 2nd area of engraving is $1.00(G). Blank items receive (EQP) End Quantity Pricing. First column pricing plus 20% charge for less than minimum quantity ordered. Rush service available up to a 1-day production time. Engraving Area: 1 1/4" x 5"